Muir… revealed the true sacredness of the natural world to the consciousness of his (now) fellow Americans, which in turn gave rise to the political will to care for it. An accident in the factory he worked at in 1867 damaged his eyes temporarily and he began to wander. He walked from Indianapolis to Florida, a thousand miles, and fell in love with the natural world and the transformative power of walking in nature. Muir heard that there were spectacular natural wonders in California, vast, and in many places still unexplored and unspoiled, and sailed to San Francisco in 1868. He walked to Yosemite and throughout the Sierras, writing a journal as he went. He emerged as a prophet, fearless, tireless, and rendered poetic by his baptism of the wind, trees, stones, wildlife, and water…. Let us remember and salute the visionary Nicolaus Copernicus on the occasion of his birthday. Born on February 19th, 1473, Copernicus gave our modern world the heliocentric theory of the solar system. He credited the ancient Greek astronomer and mathematician Aristarchus of Samos with originally describing how Earth and her sister planets orbit around the sun and took it upon himself to make the observations and work out the mathematics to prove it. Copernicus reintroduced the heliocentric theory so convincingly that it overcame the dominant earth-centered model preferred by the powerful Christian Church for theological reasons…. The exact date of Frederick Douglass’s birth is unknown. We know the likely year, 1818, from the slave census of his master Aaron Anthony, who may also have been his father. His likely birth month, February, is an estimate. In his later years, Douglass chose to celebrate his birthday on February 14th because his mother Harriet once called him ‘my Valentine’. Let’s remember and salute the great Thomas Paine, father of our American identity, on his birthday. Born on January 29th, 1737, his great pamphlets made the case for American independence from Britain, outlined his Lockean conception of human rights, and argued for the primacy of reason in epistemology, politics, science, and theology. He’s a primary influence in my own concept of America as a bastion of liberty, of reason, of freedom of conscience, of the idea that property rights entail the obligation to share our wealth with those who lack what they need…. There’s been a widespread and concerted effort to vilify Margaret Sanger and remove her name from the public roll of great contributors to human rights history. In my research for the Sanger project I’m working on, I find scores of examples of this effort every single time I do an internet search using her name…. So let’s first consider Margaret Sanger’s beliefs and whether they justify her inclusion among the great freedom leaders. Then, let’s consider her beliefs in the light of her own time and whether they deserve admiration today, on the whole, or are at least understandable given the circumstances of her time…. There are very few if any non-Americans, outside of our mother country of Britain, who have had a greater impact on the history of the United States and our attitudes towards human rights than the incomparable Mahatma Gandhi. For someone who preached simplicity, often wearing nothing but a loincloth, weaving his own fabric, and living a severely rustic lifestyle to exemplify his own teachings, Gandhi was a very complicated person. I’m honored to present my second interview guest, Peter Adamson, creator and host of the History of Philosophy Without Any Gaps podcast and Professor of Philosophy at the Munich School of Ancient Philosophy and at King’s College London. I’ve listened to his History of Philosophy podcast series for many years: it’s now almost 5 ½ years running, and if you are interested in philosophy, I’m hard pressed to think of a source that’s more comprehensive, thoughtful, and well-researched than Adamson’s. In this interview, we focus on non-Western philosophy, specifically Indian and Islamic philosophy, since that’s his focus right now at his History of Philosophy series. We touch on Western philosophy as well, especially regarding the ways that Islamic and Indian philosophy influence and intersect with Western philosophy…. Margaret Higgins Sanger was born on September 14, 1879 into a large Catholic family with 11 surviving children. Her mother died at age 50 from tuberculosis. As young Margaret saw it, her mother was worn out from her 18 pregnancies, and would cite this as one of the many reasons she so passionately advocated for the right of women to control their own bodies and their own fertility. Is There Such a Thing as a Good Lie, and is Truth Merely a Tactic Anyway? In this passage from Herodotus’ Histories, Darius, a member of the royal guard and son of a Persian governor in Egypt, is justifying his plan to use trickery to enter the royal palace. He and six other Persians are planning the overthrow of Smerdis, a Magian who had taken the throne by deception after the death of Cambyses, son of Cyrus, king of Persia. Evidently, Darius takes the trouble to justify his plan of lying to the guards to gain entry because he knows his compatriots believe lying is wrong…. Henry David Thoreau is the American philosopher and writer best known for two books, Walden and Civil Disobedience. The first is about simplifying your life so as to find what it’s really all about, the second promotes breaking the law in protest when the state does wrong (think Martin Luther King in the Birmingham jail). Walden tells of Thoreau’s experiences and observations living a simple life in a cabin for two years, where he seeks to clear his mind of the encumbrances and distractions of life in society and focus on immersion in nature and the life of the mind. Civil Disobedience is an essay prompted by Thoreau’s refusal to pay taxes in protest of slavery and of America’s starting a war to seize land from the Mexican government…. I found this article I really enjoyed, called Jean-Jacques Rousseau on Nature, Wholeness and Education, by Michele Erina Doyle and Mark K. Smith, and thought I’d share it with you in honor of his birthday. I regret I ran out of time to write an original one, but Doyle and Smith’s is excellent and I’m so glad to have discovered it! You’ll also find links below to more great resources to introduce you to the life and ideas of this strange and interesting man…. In the opening lines of her autobiography, Living for Change, Grace Lee Boggs remarked: “Had I not been born female and Chinese American, I would not have realized from early on that fundamental changes were necessary in our society.” A daughter of Chinese immigrants born in 1915, who, by her account, became a philosopher in her 20s and an activist in her 30s, Boggs remains one of the greatest radical theorists of the twentieth century…. Aimé-Fernand-David Césaire was a poet, playwright, philosopher, and politician from Martinique. In his long life (1913-2008), Césaire accomplished much in each of these roles, a rare feat as they rarely coincide in one person! ‘Walt Whitman, an American, one of the roughs, a kosmos, Disorderly fleshy and sensual . . . . eating drinking and breeding, No sentimentalist . . . . no stander above men and women or apart from them . . . . no more modest than immodest.’ Thus Walt Whitman introduces himself to us for the first time in his first self-published 1855 edition of Leaves of Grass. Not on the cover or on the title page, mind you, but deep within the body of the untitled poem later called Song of Myself. If this is a dialing-back attempt to inject a little respectable humility or yet another self-aggrandizing affectation on the part of this unapologetic egoist, it’s hard to say definitely, though I strongly suspect it’s the latter. It certainly is so-very-American…. ‘A Greek archaeologist who has been leading a 20-year excavation in northern Greece said on Thursday that he believed he had unearthed the tomb of Aristotle. 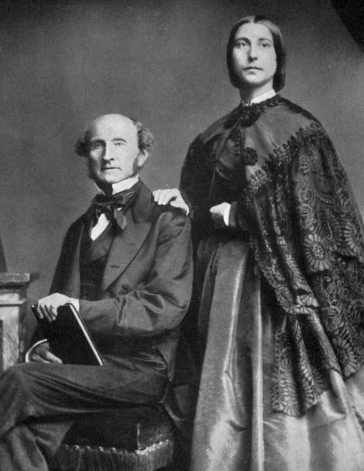 Happy Birthday, John Stuart Mill! 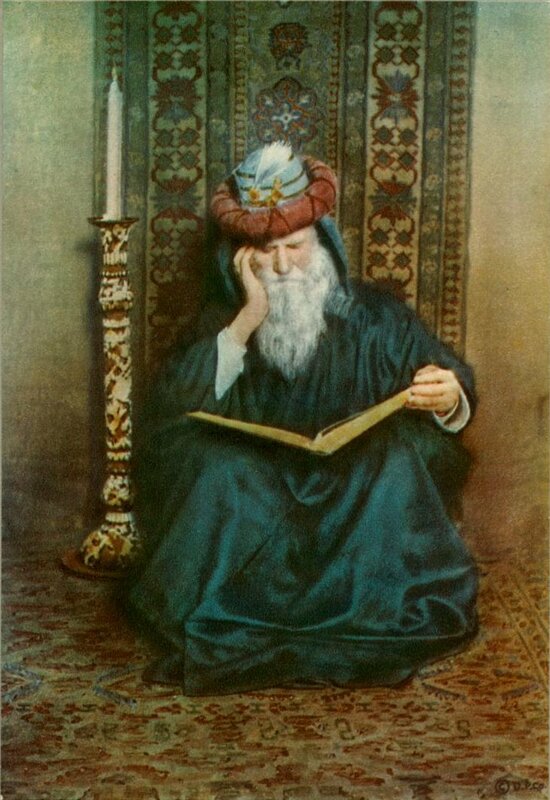 Since Edward FitzGerald published his translation of The Rubáiyát of Omar Khayyám in 1859, Omar Khayyám has been known, especially in the western world, first and foremost as a great poet, eloquently expressing the joy and beauty of life and our own struggles to live it with a sense of love and meaning. It’s a humanist work, with Khayyám writing much as an Epicurean or Skeptic here and a Stoic there, freely doubting and wondering at everything, unshackled from the orthodoxy one might expect from a famed teacher and writer of his time and place. Yet Khayyám, a devotee of Avicenna, took his Islamic faith very seriously and thought deeply about the nature of God and our relationship to him. Khayyám, born in Persia in 1048, was most famed in his own time as a mathematician, astronomer, and scientist. He wrote some of the most important medieval works in geometry and algebra, and helped reform the calendar, an even more accurate one than the Gregorian calendar we use today. But he was also an accomplished philosopher…. 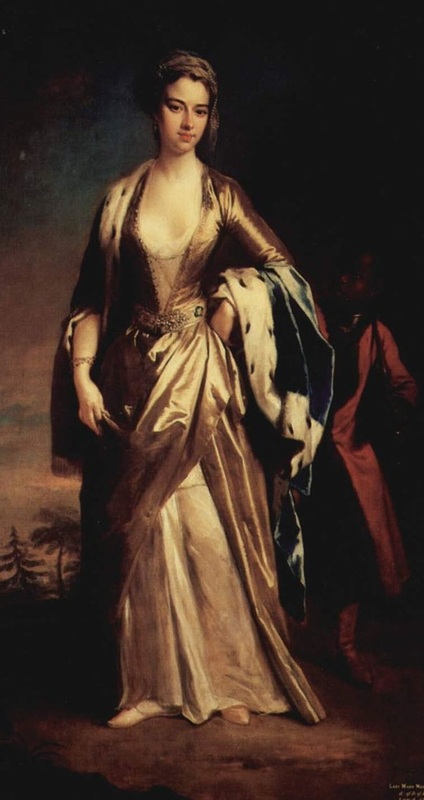 Happy Birthday, Lady Mary Wortley Montagu! I just discovered this fascinating woman this morning on the occasion of her birthday. Born on May 5 1818, few thinkers have been as influential as Karl Marx. 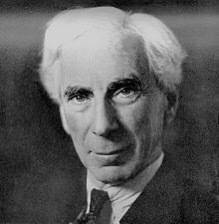 Philosopher, theoretician of history, economist, sociologist, journalist, and revolutionary socialist, he was a prolific thinker and writer, widely lauded, criticized, and misunderstood, especially by those who claimed to act in his name. 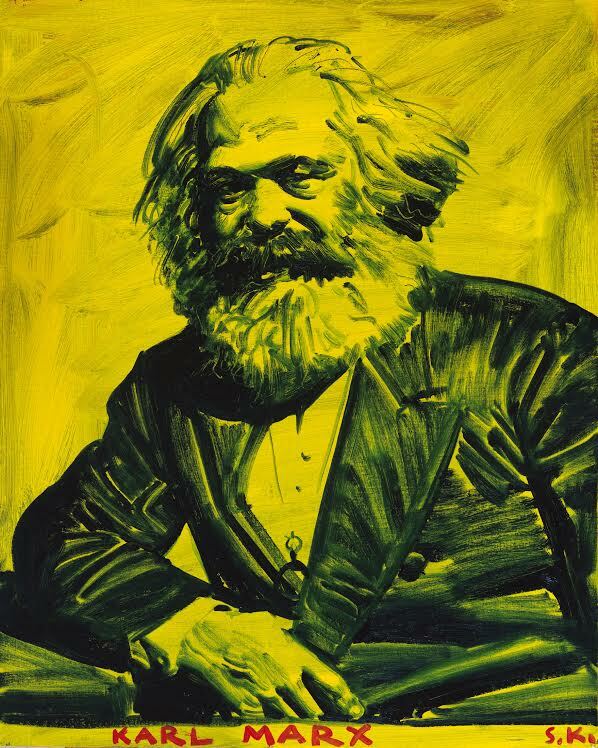 In honor of his birthday, here is a series of pieces about Karl Marx, a recent painting by an artist whose work my good friend just introduced me to, and a song that I love…. Yet the life Wollstonecraft chose to live was widely criticized both during her lifetime and over the two hundred plus years since her death…. Fell’s life was lived as passionately as it was long. She was an unconventional thinker for her time, a zealous and progressive religious activist sometimes imprisoned for her beliefs, a prolific writer, well-traveled, a mother of eight children and a wife twice. An early adherent and eloquent promoter of the faith, Fell is now considered one of Quakerism’s founders. She converted to Quakerism after hearing a sermon by one of its most charismatic preachers, George Fox, and almost immediately launched in to her lifetime of hosting Quaker meetings and speaking out on behalf of her new religion. After her husband died some years later, Fell married Fox, probably more as a co-missionary than as a romantic partner, since their work, travels, and imprisonments kept them apart for much of their marriage…. Happy Birthday, Averroes (Ibn Rushd)! 890 years ago today, on April 14th, the great Islamic philosopher, theologian, political theorist and scientist Ibn Rushd (1126 – 1198) was born, or as he is known via Latin in Europe, Averroes. Among his many achievements, he is credited with popularizing the study of Aristotle in Europe, inspiring the work of Thomas Aquinas and the Christian Scholastics. Averroes was known as “The Commentator” and Aristotle “The Philosopher” to Aquinas and the Scholastics, as Averroes wrote multiple commentaries to help others understand Aristotle’s thought. Included here is an image of Averroes standing between and above an ancient Greek sage, likely Aristotle, and an Italian scholar of the Renaissance, sitting at their feet, painted by Giorgione of Venice. Averroes was also a major influence on Maimonides, Giordano Bruno, Pico della Mirandola, and Baruch Spinoza, and was one of the great souls that Dante wrote was dwelling in limbo with the Greek sages who lived before Jesus…. Cesar Chavez is certainly revered by many people, especially within the Latino community, but despite the steadily increasing ubiquity of his name across the United States, especially the American Southwest, there are still many Americans today who don’t really know who he is, let alone what he stood for, or what he accomplished…. Hypatia’s birthday is somewhere between 350 and 370 AD; a range of dates indicating great uncertainty, to be sure, but clear original sources this old are hard to come by, especially from a city as turbulent and violence-torn as the Alexandria of her day. The day of her death is better known, sometime in March of 415 AD. Since the latter date is more precise, we’ll break with our tradition here and remember Hypatia in the month of her tragic and violent death instead of on the date of her birth. She’s a mathematician, astronomer, teacher, and philosopher, who writes commentaries on important works in geometry and astronomy with her father Theon, likely contributing original work of her own. Hypatia is a Neoplatonist, a philosophy with mystical overtones which posits that everything derives its being from the One, an ultimately conscious yet nonmaterial, non-spacial entity which is the pure ideal of everything that is. She is a scholar and teacher in a field and in a world that’s male-dominated, and historians from her day to ours emphasize her extraordinary talents and her femininity with a nearly equal mix of awe and bemusement…. Rosa Luxemburg, Mar 5 1871 – Jan 15 1919, is the great Marxist theorist, writer, economist, revolutionist, anti-war and anti-capital-punishment activist, and philosopher who was murdered during the German Revolution of 1918–1919. Though she’s an anti-war activist, Luxemburg is also critical of the idea that a just society can be brought about by incremental reforms through established political systems. If she were to be involved in the 2016 Democratic primary race between Hillary Clinton and Bernie Sanders, she would very likely back Bernie, with his more revolutionary style and rhetoric: she’s sharply critical of the Social Democratic Party of Germany, to which she belongs (in its left wing) for favoring a Hillary-style reformist approach. However, her internationalism takes Marxist thinking beyond the point where leading Marxists of her day had progressed, with their focus on unique formulations of Marxist political theory tailored to their own particular national identities and histories. She would likely find fault, then, with Bernie’s protectionism…. John Rawls, Feb 21, 1921 – Nov 24, 2002, is the great moral theorist who thinks of justice as fairness. Among his greatest contributions is the thought experiment called ‘the veil of ignorance’. It’s a beautifully simple method for helping to design a just society: imagine you’re to be placed into society with no idea what you would be: rich, poor, or middle-class; tall or short; intelligent or not; of which gender; outgoing or shy; of which race; employed or not and at what kind of job; and so on. I’m pleased to announce that the 33rd episode of the podcast is a super special one, as it’s Ordinary Philosophy’s first interview, and my distinguished guest is Clay Jenkinson, humanities scholar, author, and creator of the Thomas Jefferson Hour radio show and blog. I’m a long-time listener of the show; in fact, I believe I’ve listened to just about every single episode, many of them more than once, and relied on Clay’s work to inform my own, especially in the two Traveling Philosophy / History of Ideas series I did following the life and ideas of Thomas Jefferson…. therefore not worthy of obedience or respect. For many years, Douglass fully agrees with Garrison. But over time…, Douglass changes his mind. By the early 1850’s, the abolitionist par excellence had come to disagree with Garrison, father of American radical abolitionism, and to agree with Lincoln, proponent of preserving the Union at all costs and of the gradual phasing out of slavery…. The world lost Morton White (April 29, 1917 – May 27, 2016) less than two years ago as I wrote this, and I first learned of him through reading his obituary in The New York Times. As I read, I knew this is a man and an approach to philosophy I must learn more about. Throughout my history of ideas travel series following Thomas Jefferson, slavery was on my mind a lot: the institution as a whole, and Jefferson’s relationship to it. I was reminded of it constantly: by an original book from his own collection titled ‘The Horrors of Slavery’ now in the Library of Congress, which also displays a slave sale contract between himself and James Madison from 1809; the slave quarters and artifacts at Monticello; museum displays and plaques in D.C., Williamsburg, and Philly; and signs telling the story of his brief but telling correspondence with Benjamin Banneker. As every student of American history learns early on, Jefferson’s words in the Declaration of Independence and his stated beliefs contrast sharply with his life as a slaveowner. And nearly every place I find something written about Jefferson, this contradiction is addressed but never really resolved….